明けましておめでとう！Or as they say in Texas: Happy New Year, y’all. Work was insane in December. We were super busy because the kids are out of public school, and a few teachers got sick on our busiest day. Needless to say, it was exhausting. However, it is now holiday season in Japan, and I’m off until the 4th. I made zero plans this year, so I’ve mostly been hanging around my house, watching horrible movies, and lightly cleaning my apartment. Riveting, I know. Today I actually left my house and did what is know as 初詣（hatsumoude-the first shrine visit of the New Year), where everyone goes to a shrine to pray and receive their yearly fortunes. I took a little video so you can see somewhat how it happens. As you can see, I pulled pretty good luck from the おみくじ (fortune teller), so I’m thinking it’s going to be a pretty good year. I hope everyone’s holidays have been great, and I wish you all a happy and healthy 2016!! Valentine’s Day is in under a week, and though I’m thousands of miles away from the V-Day I know, this is probably the first time I’ve really cared about the holiday since middle school. Valentine’s Day is a thing here, but it’s probably not what you’d expect. It’s a lot different. As I’ve been told, it is observed as a day for girls and women to show their adoration and respect for men. Women give chocolates or cakes to their colleagues and lovers. Thankfully, some women also give chocolate to their lady friends, so it’s not completely about men or romantic feelings, but for the most part, men have all the fun. Heart-shaped chocolates and red and pink decorations line shop windows, but as far as I know, no one is rushing to make reservations for the most romantic restaurant they can find. 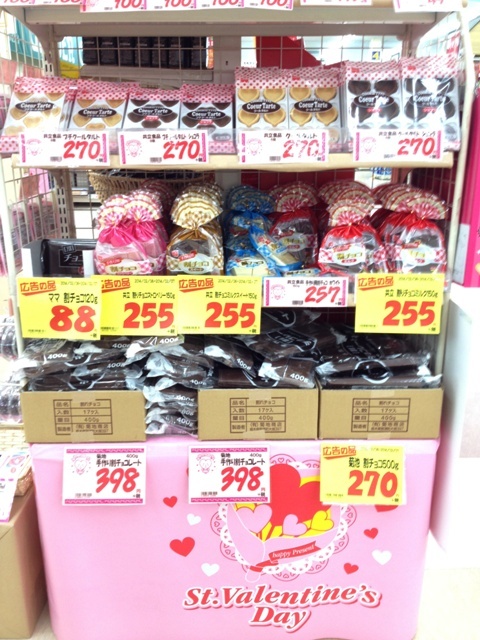 What’s worse is that women who give chocolate are not thanked for their gifts until White Day a month later. This video, from a Japanese language learning site, explains it better than I can. As a foreign lady, I briefly thought, “Man! I really have to do something one-sided for my boyfriend?! I’m modern, dammit!” But really, I don’t feel this way. It’s normal for foreigners in Japan to question and criticize everything different. Though in this case I guess it’s okay, because Valentine’s is about as commercial as holidays get. Anyway, I really don’t care. I’d feed my boyfriend boxes of chocolates and pieces of cake everyday for eternity if I knew he wouldn’t develop major health problems and a massive gut. If only carrots and soup were acceptable gifts…Besides, I’m not so sure he’s really into all these strange Western holidays. For Christmas, which is really more for couples anyway, my man and I made a metal R2-D2 model and ate okonomiyaki with his dad. We exchanged presents and all that jazz, but he said, “I’m not Christian. I don’t celebrate Christmas.” I feel we are equally cynical in that regard. I honestly find it so strange getting all dressed up and being especially lovey-dovey for one night. People who use a few days of the year to celebrate their partners and show their love are silly. Everyday should be such a celebration. Which brings me to a really interesting point. Love, in general, is shown quite differently in Japan. For those of you who aren’t familiar, public displays of affection are minimal in this country. In America, it’s common to see couples holding hands, hugging, kissing, and sometimes full on making out in public. In Japan, not so much. Once I saw a couple here making out in a movie theater and I almost had a heart attack. It just doesn’t happen often, unless of course alcohol is involved. Even then, bars down here aren’t exactly swarming with kissing couples. People keep their desires in check out in the streets and for whatever reason, love in Japan is kept mostly behind doors. I respect this, and have made a solid effort to not hang all over my boyfriend when people can see us. If our company is exclusively Japanese, I barely touch him. If it’s his parents? Well, obviously we act like virgin school kids. I understand that the culture is different and that lack of physical contact does not mean he doesn’t care about me, but as an American I do occasionally feel slightly rejected. It’s a weird feeling to describe, and I’m still working on balancing that out. I have to constantly remember than I stick out naturally, and that my boyfriend is a local businessman. Especially “non-Japanese” behavior could really get him in trouble. 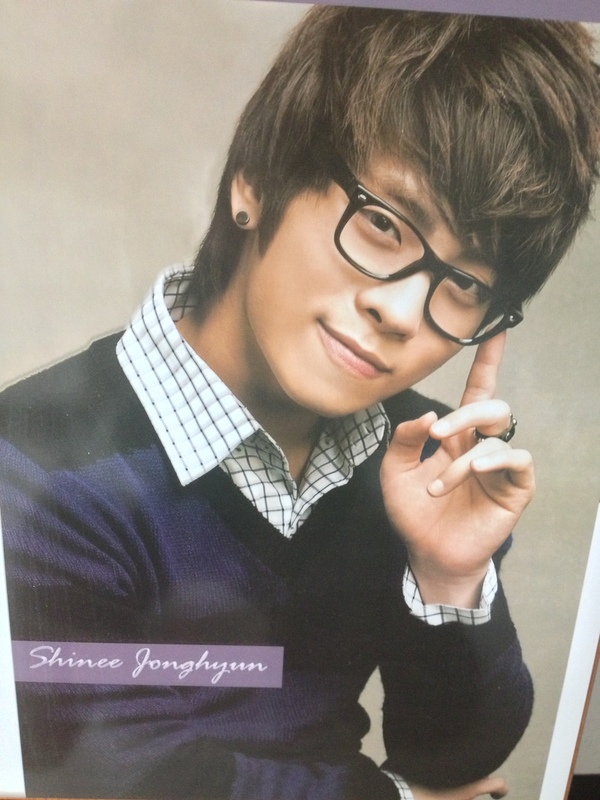 It makes me feel really nice–him being so rabu rabu (love-love, as in lovey-dovey) as we say in Japanese. But in my year and half in Japan, I have never heard a Japanese couple say such things to each other. I’ve never seen them be “cute” in the American sense. I have heard of students freaking out when they see foreign couples say nice things and kiss. Yes, because it doesn’t happen often, but also because I think they really enjoy seeing romantic things. Clearly visible love is like a Hollywood movie to them. Japan is just…different, I guess. I don’t think all these differences necessarily mean one country’s couples are happier than the others. I don’t know enough. It’s all just very interesting to me, and I’m not trying to take sides or anything. These are all just my personal observations. It makes you wonder though. Could my culture and this new culture learn from each other? Maybe Japanese people could use a little more PDA. I do believe that it is important for young people to see loving relationships outside of their families. It just continues the chain of healthy relationships. Then again, maybe Americans are too demanding. Maybe we expect too much reassurance that our partners still love us and won’t leave us. Maybe Americans are annoying in that sense. Eventually you learn to live according to the new cultures standards, so maybe it isn’t so bad, but part of me really does like all that sappy, romantic stuff. Though it does make it more special when it happens less frequently, right? Love is a universally human emotion, but it certainly manifests itself differently over the world. It’s one of the reasons international relationships take special care. They are by no means impossible, obviously, but without proper communication, they can easily crumble. I feel like I’m doing okay so far though! Though my actual job title is Assistant Language Teacher, I feel like it should be Culture Teacher, because as an international resident of Japan, I can teach my students a lot about the world. I can use my experiences in their country to give them an outside perspective. They ALWAYS ask me if I have a boyfriend. Almost every day this happens. For some reason, it used to make me uncomfortable. Maybe it’s that I’d accepted the more “love is private” mentality or something, but I never used to answer properly. I’d usually make them ask me again in English, and in the time it took them to form the sentence, I could calm myself and say, “It’s a secret.” However, recently I’ve decided not to be so afraid to tell my students that I have a boyfriend. It is private, but now I don’t think it would hurt so much for my students to know that I care enough about someone to put up with their crazy shenanigans for another year. (In case that was a secret, I’m not staying in Japan only to hang out with crazy kids all week.) I want to be able to talk to my students about these differences between America and Japan. Plus, a lot of my students have already seen us together, so it really isn’t a secret anymore. Happy Valentine’s Day! Buy yourself some chocolate! –As always, thanks for reading! If you have any questions, leave a comment! No. I don’t even have a dryer. I DON’T HAVE A DRYER. 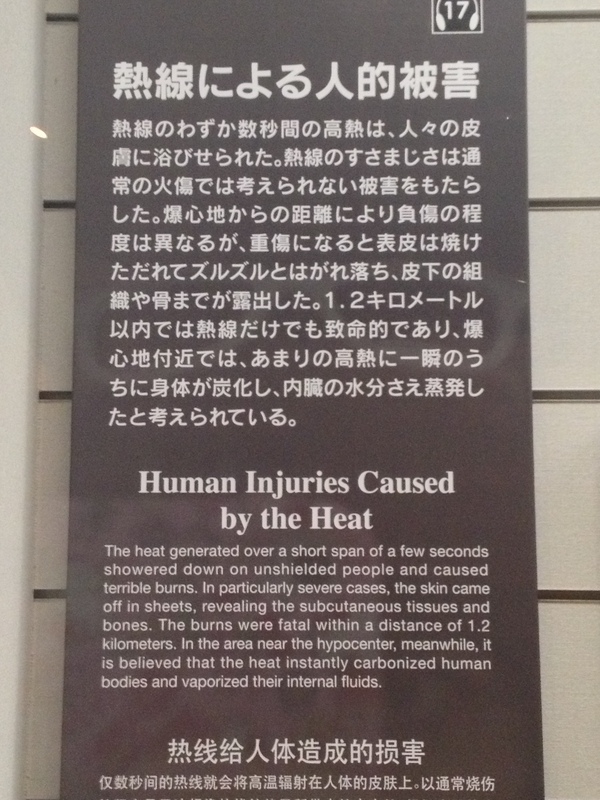 When I first got to Japan, that was definitely up there on my “shocking findings” list. Although drying your clothes outside on a pole does take more effort and more time, I’ve gotten used to it. It makes me feel like I’m saving the world, one load of laundry at a time. Some people do have dryers though. You’ve just got to be rich enough to have a big house (in Japan…) to even think about it. There’s simply no room for extra luxuries in this country. You learn to make do, or you spend a little extra to use the coin laundry. I also don’t have an oven or a dishwasher for the same reasons. I know people with glorious baking machines, but they also have relatively glorious houses. I really can’t recall if I’ve ever seen a dishwasher. People in Japan wash their dishes by hand, and I admire that. I grew up with a dishwasher, and learning to do everything with two 5-digit tools god gave me took time. It’s just another way Japan has made me feel like a privileged brat. I feel like Japan doesn’t have a massive consumerist mentality when it comes to home appliances. People just spend more money on their appearances and nights out I guess. 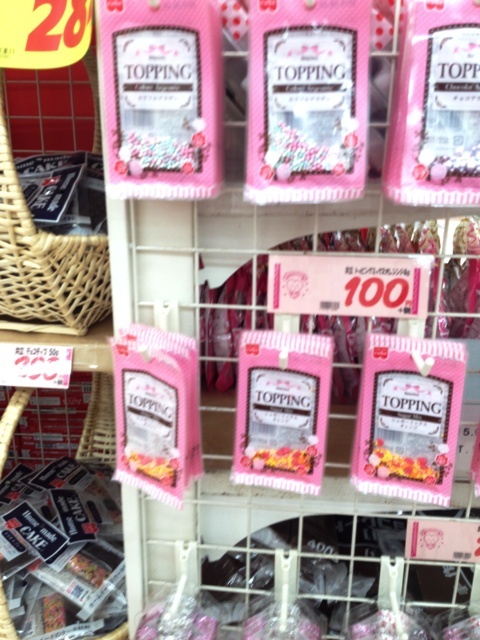 Anyway, this post is not an attempt to demystify the lack of home technologies in Japan. I wanted to say, that despite the fact I’ve learned to live with and even love my now simpler life, I’m having a hard time getting over the heating systems used in this part of the world. My main source of heat in my home is a space heater pointed at my bed. Also, I work in schools, right? We know this. Where have you been? Schools in Japan, as you probably could conclude from this and previous posts, do not have central heating. Or any heating. Save for the staff rooms and the library, maybe, Japanese schools are ice boxes full of bare legs and sadness. Yes, girls wear skirts. Without tights. BARE LEGS IN SUBZERO WEATHER. 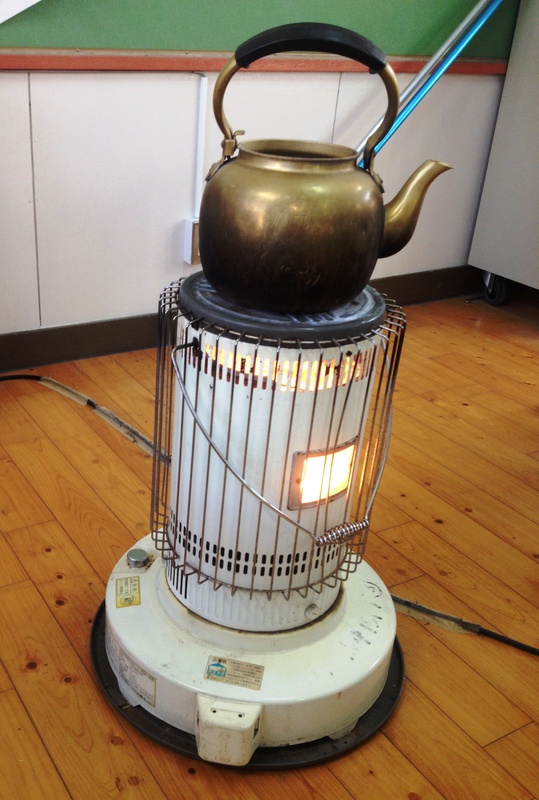 The teachers’ rooms have simple, no-fuss gas stoves. I asked my boyfriend why Japan tortures its youth, and he said it’s to build character. It toughens them up. A teacher told the kids once that American kids probably think Japanese kids are amazing and strong for enduring winters sitting in cold wooden desks while learning how to buy shoes in America. American kids would probably think Japan’s insane and then decide to never come here while they’re school age. Much to my mother’s disappointment, I went to Korea over Golden Week. Let me tell you, I was super excited, and the fact that it was sort of a secret made me all the more anxious to go. I left Tuesday night of GW for Seoul with the one and only Anya, and we stayed for about a week. Boy, was that too much time. I’m not saying Korea wasn’t fun. Looking back, I really did enjoy it. But because we stayed in a hostel with some rather inconsiderate girls and because I don’t speak Korean, it was an interesting experience. 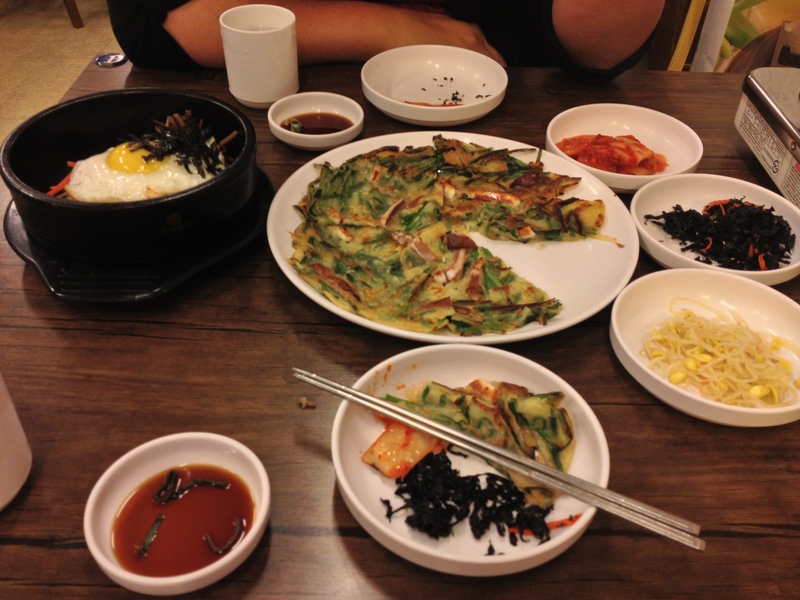 On top of the lack of sleep and language barrier, Korea just simple is nothing like Japan. 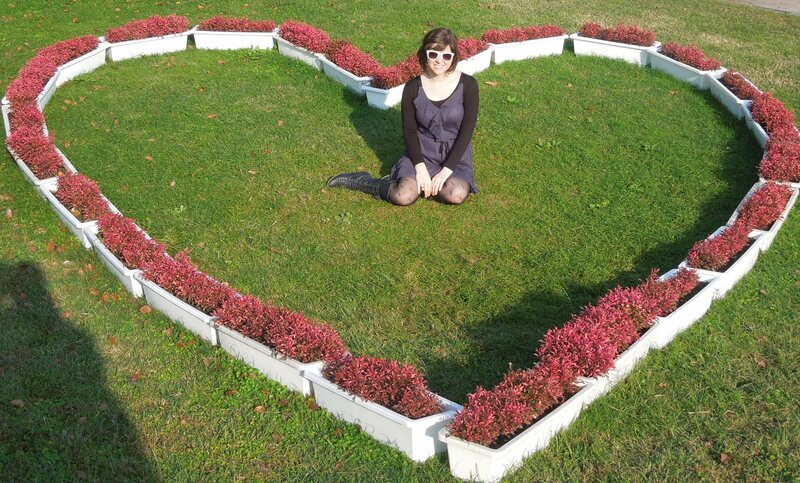 I’ve grown to love Japan, despite its quirks, and Korea just doesn’t live up (in my eyes). So with that, I would like to show you a few pictures from my trip and explain why the K and the J are so very different. 1. Japan is cleaner. I will not lie to you; I’ve seen people throw empty bottles and trash into the bushes in Japan. It happens. But to counteract that, I’ve seen many more people, including security guards, cleaning staff, and even just nice old men cleaning that trash up. 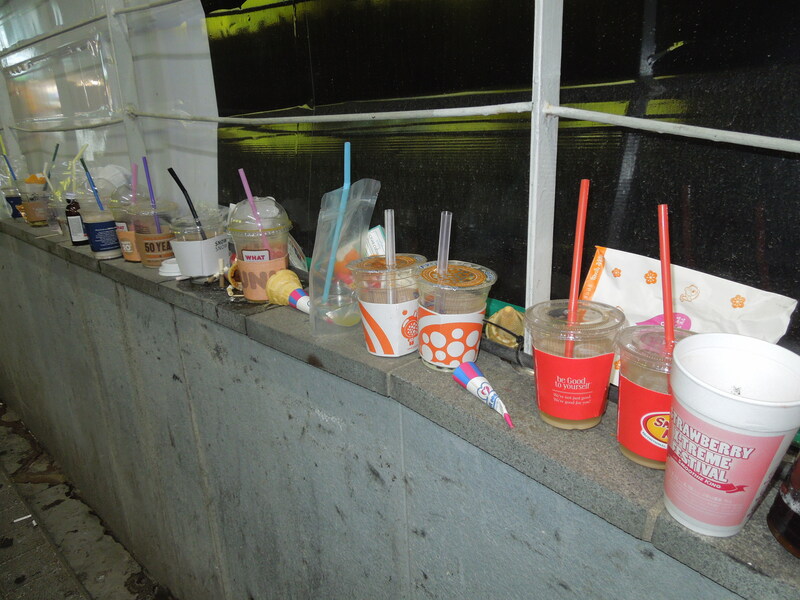 In Korea, apparently, people just line the buildings with their half drunken beverages. Japan:1 Korea: 0. 2. Korea is really into its idols. Again, I’m not saying Japan doesn’t fall victim to idol syndrome as well (the number of times I’ve seen an Arashi member on an ad for something is uncountable). BUT I’m pretty sure Korea does it better. KPOP group members sell everything from pasta to skincare. They’d probably make idols sell condoms if the country wasn’t so censored. It’s honestly a little ridiculous, but who’s complaining. Not me. 3. Korea knows how to party. 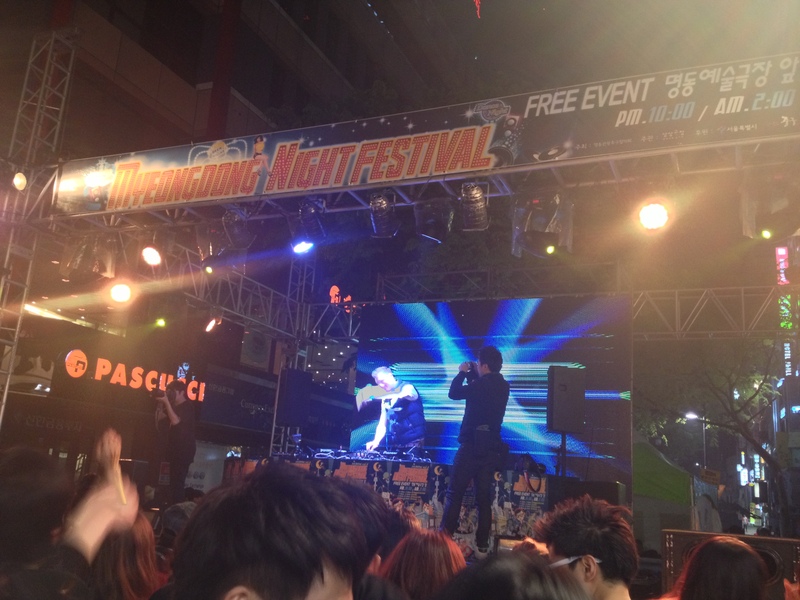 I’m pretty sure this kind of little “Night Festival” that was held in Myeongdong only makes the trash problem worse, but man was it fun! Dancing in what is technically a street in Seoul’s touristy shopping district was probably my favorite part of the trip. Everyone in attendance (small children and old ladies included) got down to the music spun by five DJs, and a few local dance groups used the night as practice. 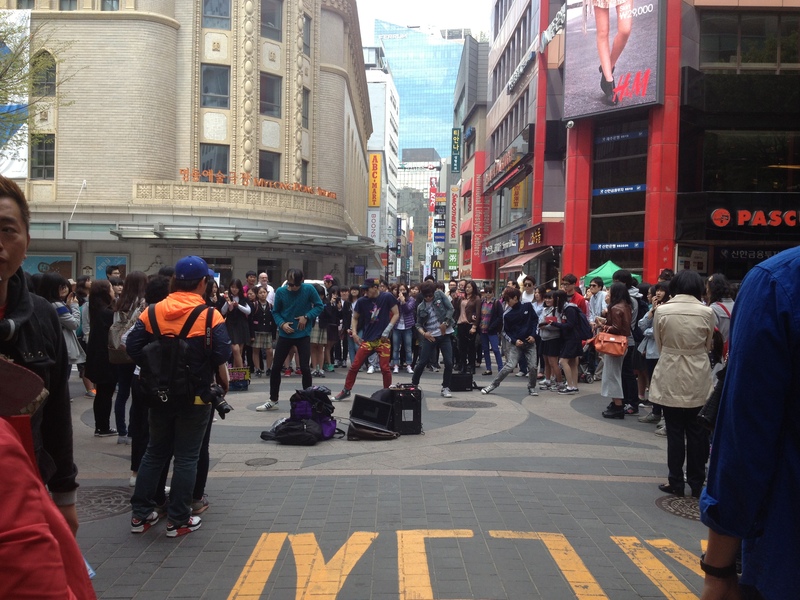 It was really cool see young people test out their moves in front of shop windows…and just generally check people out. Score 1 for Korea. Also, Japan sweetie, can you do more of this? Thanks. 4. 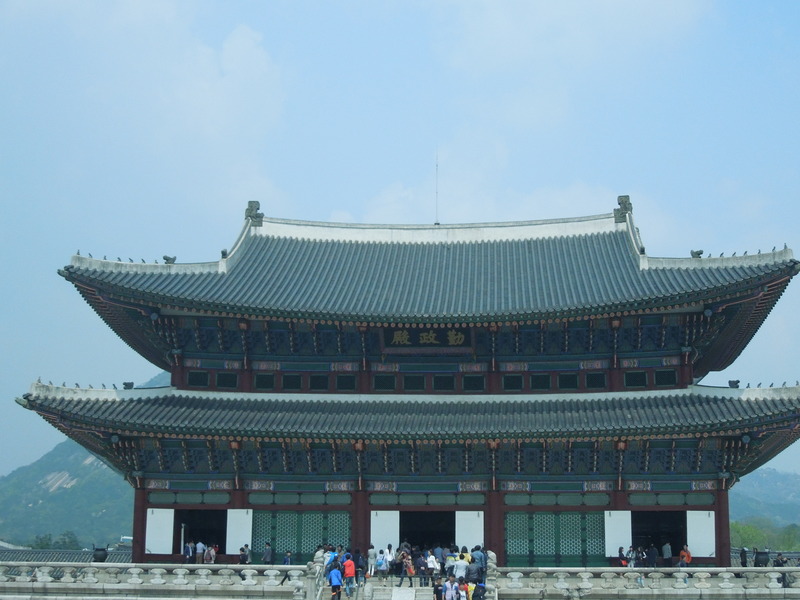 Korea has palaces. Japan has the Imperial Palace where the Emperor lives, and I’m sure it’s lovely. Unfortunately, his family lives there, so it’s like the White House. 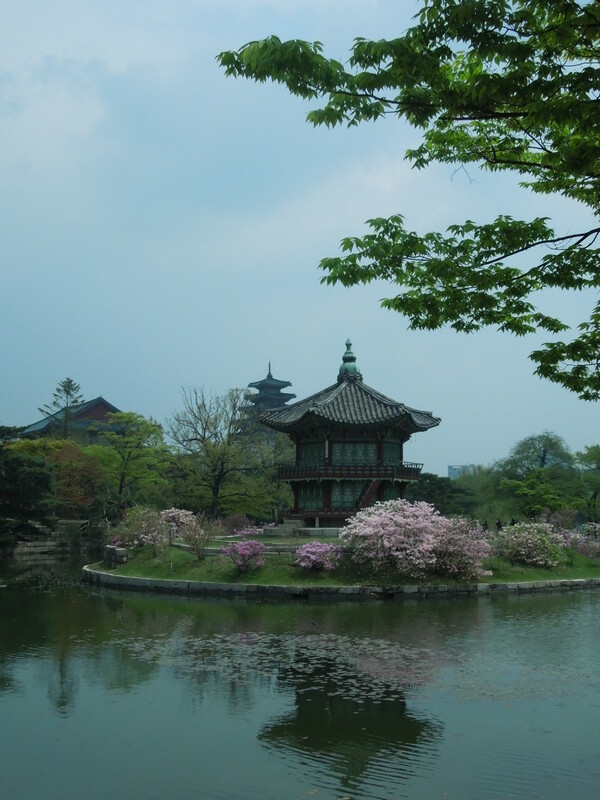 Seoul, however, is home to (I think) 3 historic palaces that you can explore. This particular one is Gyeongbokgung. It’s a huge complex featuring a museum, zodiac statues, and a new fermented clay jar exhibit (YAY!). Okay, Japan has castles, so really this isn’t that cool. And Japan has freakin’ awesome World Heritage shrines and temples. I could spend a week in Kyoto alone looking at that stuff. So in this respect, I guess Korea is a little like Japan. It’s got that whole Chinese influence thing going on, ya know? Palaces are pretty beautiful though, so if this post seems overly negative, it’s not! 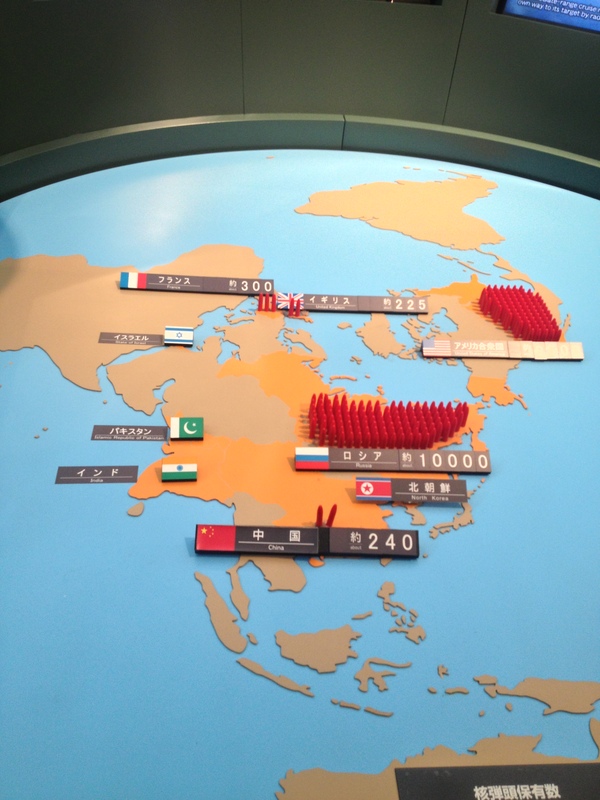 Ten points to Gryff…Korea! Just joking, only one point. 6. Man, say “excuse me” I don’t speak Korean, so I wouldn’t know what “excuse me” was if I heard it, but when people run into you or step on your feet and say nothing, you know something’s wrong. 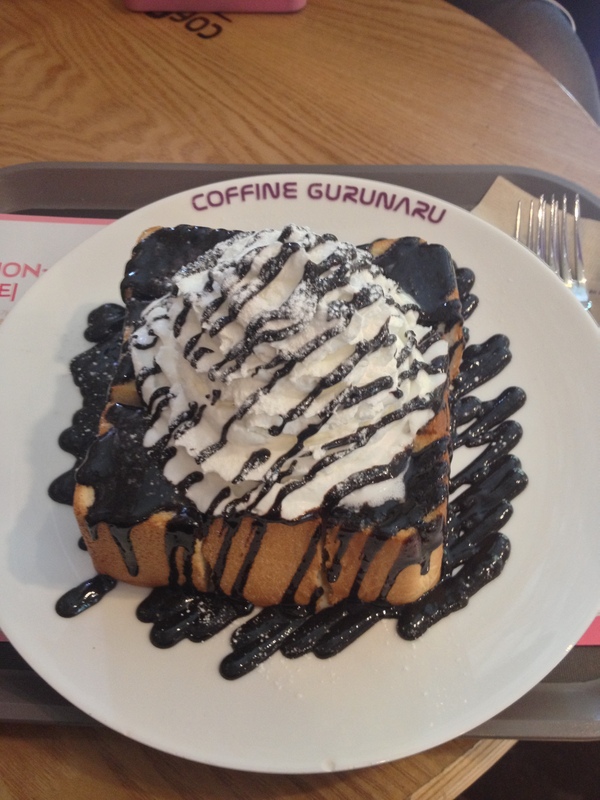 Japanese people are some of the nicest in the world I’m sure, and Korea people are just…normal I guess. Pretty American…as in there are nice people there that will help you carry your heavy bags up stairs or direct you when you look lost, but for the most part, people just carry about their lives. 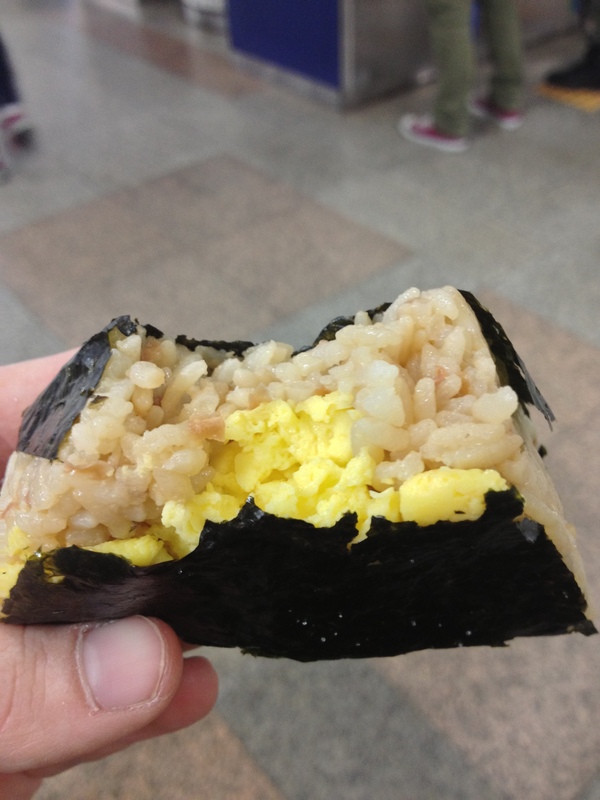 Onigiri-type thing with egg in it! 80% of this was super spicy! 7. FOOD: It’s spicy. I prefer Mexican. Dukbokki is good with pizza. The end. Japan wins. 8. WHAT are you wearing?! 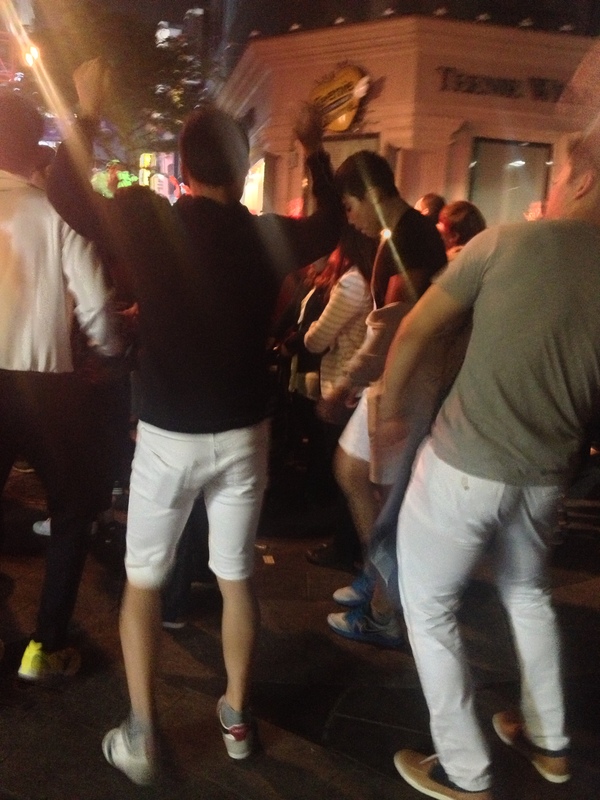 Korean people, for the most part, dress nothing like KPOP stars. I saw a good hand full of people each day decked out in some pretty nice clothes, but the overwhelming majority paired their trendy tops and dresses with tennis shoes. Usually, these were New Balances. Just regular ole New Balance running shoes in bright colors. I saw this girl in what appeared to be a nice vintage dress….and tennis shoes. This is not the eighties. Those shoes aren’t even cute. Okay, that about sums up my week in Korea. There really are some awesome things that I love, like the millions of coffee shops and good, affordable skincare products. I also didn’t mind eating at On the Border. I would like to go back to Korea some day, but I think I’ll study a bit more about it before I go next time. I hope you enjoyed reading about my experience and you learn from it. Korea is probably really awesome to visit from America, but I did experience a bit of weird culture shock. But then again, maybe I’m just being pessimistic lately because I’m still getting fat and it’s starting to bum me out. Also, keep a look out for a post with photos from my trip! またね! 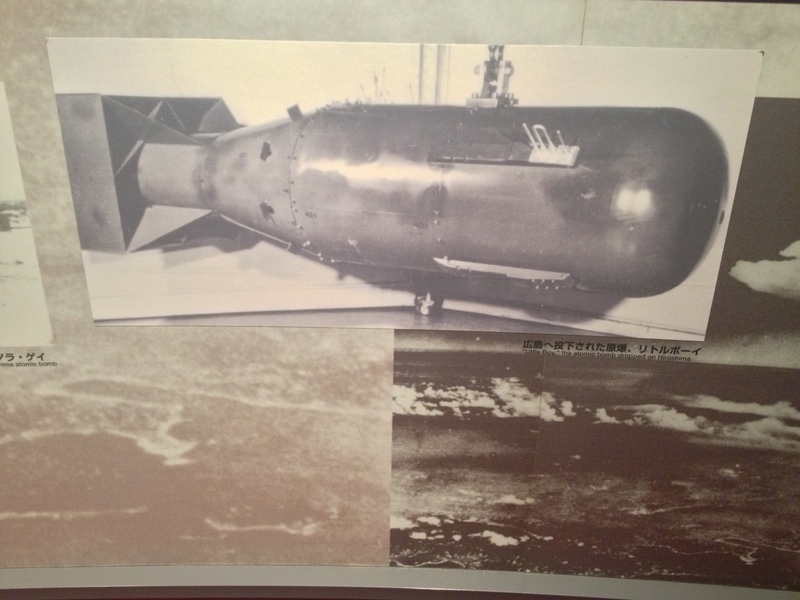 The museum then gives the time line leading up the bombing, explains atomic weaponry, and includes a replica of Fat Man himself. 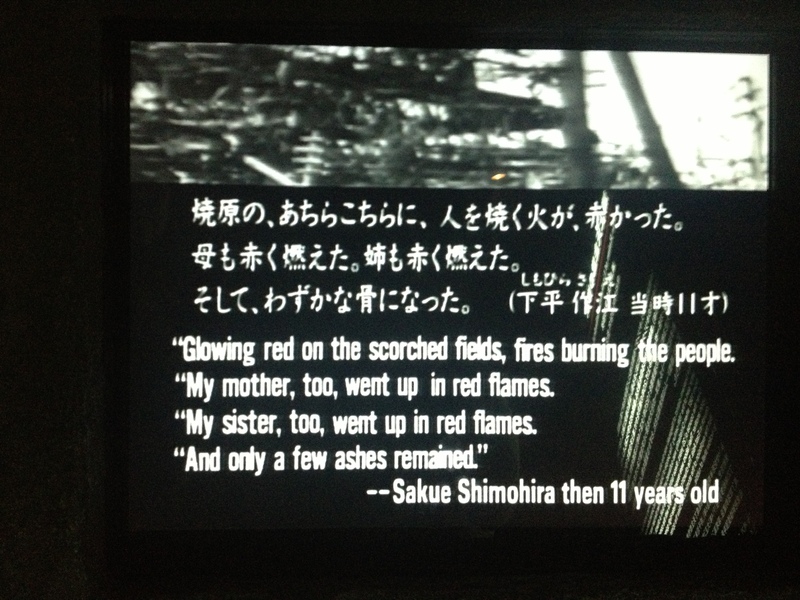 There are pictures of burn victims, fallen structures, and various other effects of the bomb. I won’t go into too much detail, because you really should see it yourself. Towards the end of the route, there is a wall covered with words of the survivors. There are even short videos you can watch of people who were affected. Right there, staring at that wall, surrounded by older Japanese people who very well could have personally known someone affected, I lost it. My friend was elsewhere, but I remember thinking that I needed to find her and talk to her to keep more tears from forming. Reading what an 11-year-old has to say about the bombing, with no resentment or hatred in his tone, only pure sadness for his lost family and destroyed home–it was just a really horrible moment. And I couldn’t help but read more. 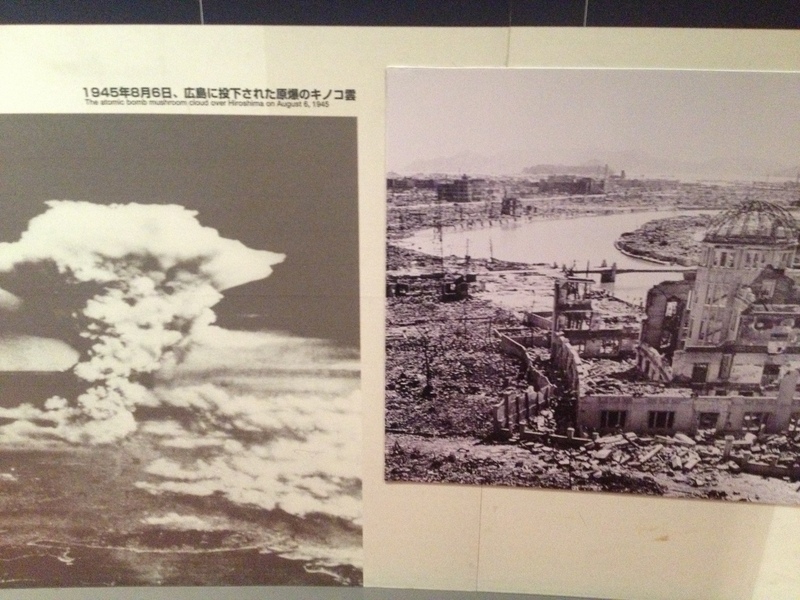 After the war, Nagasaki became a center of peace. It took this atrocity and made it something beautiful. What was done can never be undone, but to this day, Nagasaki is attempting to move forward and do something good for the world. 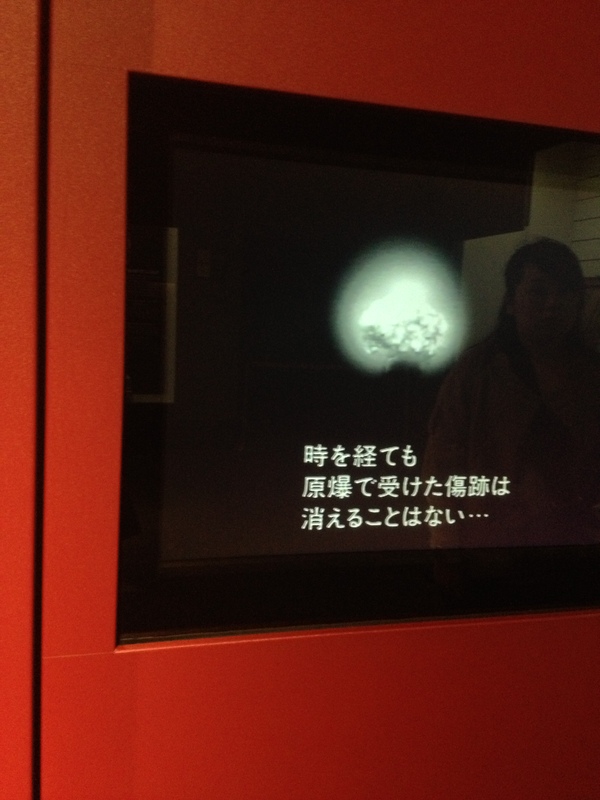 It is true that there are many tourists who visit the area to learn of that day, and I’m sure all of them left Nagasaki as I did; feeling sorry and empathetic, but also hopeful for a future when someone dismantles all those bombs hiding in Russia.